The shooting guard could be the most famous position in basketball. It’s a position that has been filled by many legendary basketball players including the greatest player of all time (MJ) and The Mamba (Kobe). And it’s well known as a “scoring” position. The player in this role is expected to knock down three-point shots, have the ability to pull up from midrange if necessary, and also be able to drive to the hoop and score. The expectations for a shooting guard are very high! In this post, I’ll break down 11 different ways they must be able to score, and I’ll also show you how a shooting guard can easily average 27 points every game. What is a Shooting Guard? ​A shooting guard (also known as the ‘2’ or the ‘off guard’) is one of the five basketball positions. As the name suggests, their main role involves scoring the basketball. They’re usually the team’s best long-distance shooter, and must also be capable of point guard duties if required (must be able to dribble and pass reasonably well). 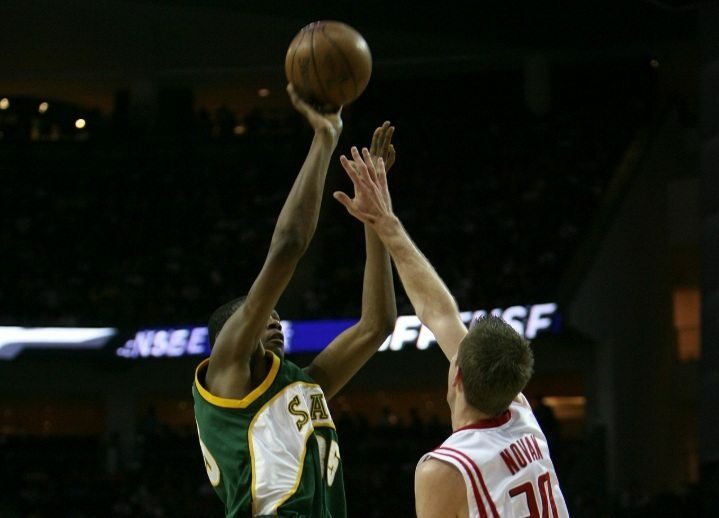 Height and athleticism can vary greatly between shooting guards. But in general, this position is filled by the second shortest player on the floor, with only the point guard being shorter. ​Reaching 27 points per game as a shooting guard won’t be easy. 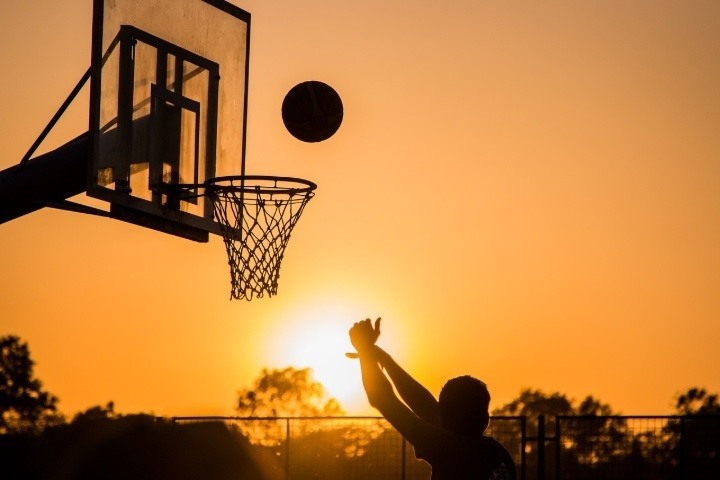 ​To be a great shooting guard, you must be a great shooter. And being a great shooter always starts with perfecting your shooting mechanics. This will take time, but it’s worth the investment in the long run. It’s MUCH easier to improve a fundamentally sound shot than it is to make progress when you’re making several shooting form mistakes. 1. Make sure you’ve got a balanced base. 2. Lock your eyes on the target. 3. Bend your wrist and get your elbow under the ball. 4. Shoot without force from your ‘balance hand’. ​Once you’ve got the shooting form perfected, it’s time to spend many hours in the gym. The first goal is to become a “consistent” three-point shooter. A player who the coach can rely on to convert one or two three-point shots in most games. The goal is to become an ELITE long-distance shooter. A player who knocks down 40+ percent of their shots from the outside consistently. This is the type of player the opposition fears leaving open, and they’ll be sure to guard them tightly no matter where they are on the floor. Being a player who has this shooting range makes the game much easier for your teammates because the defender guarding you will be hesitant to provide help defense. ​Out of the team’s two guards, it’s the point guard who will do most of the dribbling. The shooting guard must understand how to move without the ball to be effective. This requires being able to read defenders, having perfect footwork to execute a variety of cuts (flare, backdoor, curl, etc), and knowing how to use screens to your advantage. When Klay scored 60 points against the Indiana Pacers, he only dribbled the basketball 11 times! Crazy. The majority of his open shots came from smart off-ball movement. ​Once you become a feared outside shooter, teams are going to start denying the basketball. Which involves the defender making sure they have a hand and a foot in the passing lane when you’re one-pass away from the ball. This opens up the opportunity for a backdoor cut. 1. Set your defender up by acting like you’re about to receive the basketball. 2. Push off hard with your outside foot and explode in the direction of the hoop. 3. Receive the pass (usually a bounce pass) and finish with a layup. If you can time this correctly, it will result in 2 - 3 extra made shots every game. ​When you get to the hoop, you need to have several ways to score depending on how the defense challenges your shots at the rim. Another convenient part of becoming a great shooter is it will lead to more shots inside, too. Defenders will be more likely to jump on your shot fakes, and it will be easier to drive past the defender because of how tightly they’re guarding you. Just make sure you can finish! Out of all the finishes you can master, developing a consistent floater is the most important. Since the shooting guard is usually one of the smallest players on the court, being able to attack the hoop and then ‘float’ the basketball over the help defense is an absolute must. Make sure you’re practicing off the backboard and swishing the ball through the hoop. ​Being a great free throw shooter is very important. A shooting guard should make at least 80% of their free throw attempts. The best way to achieve this is by knocking down two free throws between each drill when you’re working out by yourself or with a teammate. By shooting free throws in sets of two (as you do in games) and also shooting while fatigued, you ensure game-like free throw practice. ​The team’s point guard is going to advance the ball down the floor on most possessions. Which gives shooting guards the opportunity to sprint down the floor looking for a quick pass over the defense and a wide open layup. A shooting guard who sprints the floor will automatically be in position to explode out and catch the basketball on the wing to start the offense. Doing this can also open up your teammates and create mismatches! 1. When you have a mismatch with an opposition post player. A shooting guard should be able to use their quickness in isolation to attack the rim and score. 2. Being the team’s best scorer, the coach is going to look to you when the clock is counting down and the team needs to get a quality shot. For both reasons, it’s important to practice iso scoring. The best way is to challenge a teammate or friend to a game of 1-on-1 and then limit the amount of dribbles allowed to 3 dribbles or less. ​The midrange shot in today’s game is viewed as a “bad shot” by many coaches. And the statistics can back this up. But, in my opinion, all great shooting guards still need to have a reliable midrange jump shot. Whether you’re catching off a curl cut and need to raise up into your shot, or need to shoot a pull-up to avoid a crowded key, the midrange shot is necessary. You WILL have bad shooting games. It’s happened to all the greatest shooters of all time, and it’s going to happen to you too. Steph Curry shot 0 - 11 from three-point range. Ray Allen shot 0 - 13 in game 3 of the NBA Finals. Reggie Miller shot 1 - 16 in game 1 of the NBA Finals. 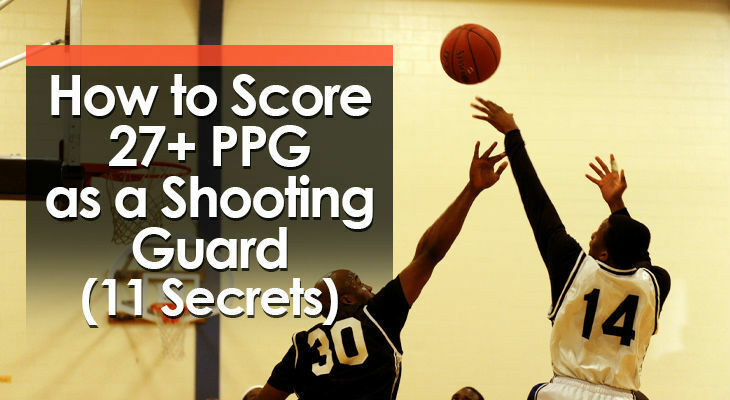 ​Despite the smaller size of most shooting guards, scoring from the SG position isn’t incredibly difficult as long as you have an outside jump shot. Knock down two three-point attempts throughout the game. These will usually come from the team’s half-court offense or the coach drawing up a set play to get you open. 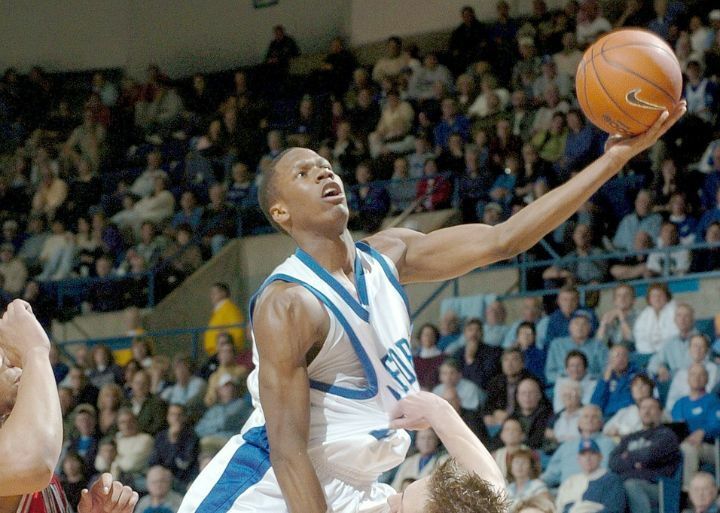 When defenders close out to contest your shot, put the ball on the floor and attack the hoop. If you can do this three times in a game, it’s an easy six points. Outwork your opponent by sprinting down the floor hard every time your team gets possession. This will free you up for several fast break opportunities every game. If you’re running the floor hard and attacking the hoop, you’re guaranteed to get fouled several times. When you get to the line, knock down 75% of your free-throws. Making a single midrange shot in an entire game isn’t hard, is it? If your defender bites on a shot fake, take one or two dribbles inside a pull up for an open jump shot. When you’re knocking down outside shots consistently, teams are going to overplay you to keep the basketball out of your hands. Perform a quick backdoor cut for two easy points. When a post defender switches on to you, isolate them on the perimeter. They won’t be quick enough on their feet to stay in front of you. Drive past them and finish with a layup. ​For a bit of fun, here are my top 3 shooting guards to ever play the game.